As ThinkGenetic outreach coordinators so much of what we do includes hearing the stories of those with genetic conditions and meeting incredible advocates. One such person our team recently met was Monica Weldon, President/CEO of Bridge the Gap – SYNGAP Education and Research Foundation. While preparing for the Emory Genetics Laboratory sponsored webinar “Innovative Patient Education and Support Options: From Diagnosis to Next Steps” at which ThinkGenetic co-founder Dawn Jacob Laney was co-speaking [see recording here], we learned of Monica’s incredible persistence and dedication to learning and uncovering options for her twin boy, Beckett. Beckett was the first to be diagnosed at Texas Children’s Genetics Clinic with the gene mutation SYNGAP1 (6p21.3) in 2012. Her tireless effort resulted in the establishment of Bridge the Gap-SYNGAP Education and Research Foundation. 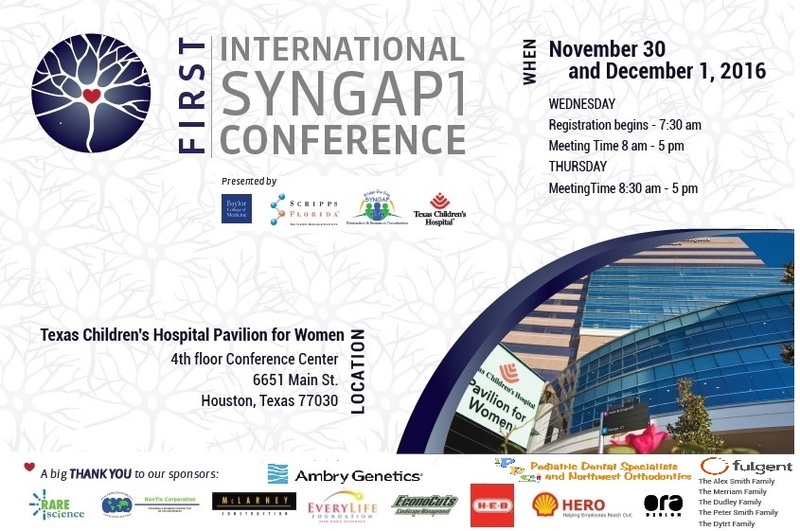 Speaking of growth, The First SYNGAP1 International Conference is taking place November 30 and December 1 and is sold out! While the tickets are sold out we are happy to be joining in the mission of “bringing together patient families, clinicians and researchers as equal stakeholders in order to accelerate research discovery and close the gap to clinical impact” through volunteering at the event. If you couldn’t get a ticket you can still join the conversation taking place at the event by using #syngap1conference . Kudos and cheers to Monica and the amazing work of Bridge the Gap – SYNGAP ERF! Make sure and check out them out on Facebook, Twitter or Instagram.